Lamprey Systems athlete Chris Garges won the Wilkes-Barre Duathlon this past Sunday for his 3rd time! Chris finished the event with a time of 1 hour and 17 minutes, beating his nearest rival Tim Scanlan but nearly 5 minutes to take the win. The event was grueling, comprised of a 3.1 mile run followed by a 16.5 mile bike and capped with a second 3.1 mile run set in the center of the city of Wilkes-Barre. Chris, who had prepared for this event by running the Boston Marathon in under 3 hours, said the cool weather on Sunday helped him win. 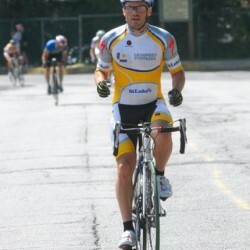 We at Lamprey Systems are looking forward to next year and a 4th win by Chris at this local event.